Galaxy For Blog Action | Let's Live Forever! I had a great little video arrive in my email not long ago. It’s called Galaxy, and if you are up for some light entertainment, check it out by clicking here. Turn up your sound because the song by Eric Idle is great—there are no volume controls on it and it goes for just under 3 minutes. It turns out Galaxy is an eCard you can get from Care2, an online organisation that provides a hub where people can support a whole host of causes, such as animal welfare, human rights and environmental concerns, through petitions and lots of other methods. Petitions on Care2 are anything from ‘Send unwanted clothes to Africa’ to ‘Legalize Sugar Gliders in Pennsylvania’ (which I was intrigued at because sugar gliders are a native possum here in Australia). This year’s Blog Action Day has the theme ‘poverty’. While most of the causes I could see on the Care2 site were not specifically about poverty, I do think these things are related… if humanity can pull itself out of the muck, poverty will be a thing of the past (a bit esoteric, I know, but I said this post would be convoluted). You can find the Galaxy eCard on this page (they don’t appear to give access to the full-window version I’ve linked to above). If you send an eCard, they say: “For every eCard sent, Care2 makes a donation to an environmental nonprofit to save a square foot of rainforest”. Thanks for letting me know about Galaxy, Care2, and for making me think about blog action day! That’s a nice idea. I just sent one. I admit feeling a bit naked by stating that “Blog Action Day” would never had been brought to my attention had I not visited today. The eradication of poverty and hunger are critical. I read and hear about so many people “cleaning out their refrigerators,” (the operative word being OUT) and I sense that they are doing something similar to what I do: trashing old or “expired” food. It sickens me each time I do it, so I have resolved to STOP – by buying less and donating more. Thanks for the links. No matter how bad the economy is, NOBODY in this world should go hungry. A fed person can help focus on escaping poverty as well. I may not be wealthy, I may not move around well, but I can make phone calls, send letters, and try to make others aware of these issues. As human beings, and members of this world, I believe that everybody can pick a “world problem” and try to spend time solving it. You have done a great service today, and I thank you! Problems require solutions, and often solutions are found one-person at a time. Thank you for reminding me to re-double my efforts! Oh…I’m supposed to be writing e something for Blog Action Day too! I’d have to publish mine tomorrow. It’s past midnight now. I’ve just viewed the ecard. What a gem! Love it! Thank you, Robin. I will go check these links out now. Thanks for sharing this Robin, and for the reminder about Blog Action Day. Robin this ecard was terrific! Um, I know I should be thinking about Blog Action Day, but while listening to this I was so delighted that I suddenly felt like forgetting about all any “worries” and just going out and having one helluva good time! Thanks. Ok, now back to thinking about Blog Action Day. You made me realise I completely forgot about Blog Action Day. Too busy and hung up on my own birthday I guess. I’ve never heard of Care2 before but I love it when we can use marketing and business partnerships to make a difference in the world. It’s too easy really. One of my favorite gifts for friends who are in need of nothing is a donation to http://www.oxfamunwrapped.com.au/. You can choose what to give on their behalf – for example a chicken, a goat or a grant for a village woman to set up a small business – and then Oxfam send your friend a card with your personalised message. The cards are very cute and everyone I have ever given this to has loved it. Fabulous for Christmas. Anyway, off to see the galaxy card. Have a good week. Hi Robin; That was a fun video. I think that things like helping the environment can help with poverty. Here in Panama when someone builds an ecological hotel they give work to the people who live in the region, as tour guides, working for the hotel, and so on. A few years ago, I used to send tons of e-cards from Care2 to family and friends — it’s a great site, with more than e-cards. SpaceAgeSage — Loris last blog post..Yes, I survived the week-long media fast — and learned lots! Hi Robin – that sounds like a really interesting charity – I like the supergliding thing. I wonder if they could add legalize segway in the UK to that? Are segways legal on the pavements in Australia? @Rita – to be honest, I don’t know whether “re-doubling our efforts” is necessarily the best approach. I think we all best contribute by doing the things we are passionate about, which may be working to solve a world problem, or may be dealing with something that is close to home, such as our health. I actually spent blog action day focussing on a kinesiology session I had in the afternoon – I think I will be much better able to ‘help the world’ if I am healthy. Thanks for your interesting comment! @Evelyn – isn’t the video great! @Davina – if you felt delighted, that was why I put it up – we are all significant! And thanks. @Kelly – Hope you liked the Galaxy video – thanks for the info on Oxfam – it might come in handy this Christmas. Frank and I belong to GetUp – it’s a little different, but it’s an online community that does good stuff. @Marelisa – It’s great, isn’t it. That’s interesting about the hotels. 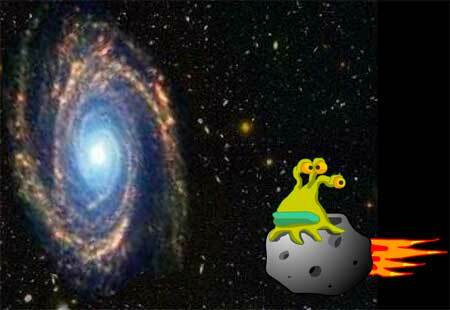 @SpaceAgeSage – Hi there – yes, I was interested to discover it. @Chris – don’t forget the video! @Cath – I haven’t seen any in Australia – why would they be illegal, I wonder – a safety thing? I already join to Blog Action Day. Hope the actions from all blogger around the world will rising the awareness towards the issue of poverty. But my question when poverty end? Hi Robin – What a great contribution to Blog Action Day. Those are links that help others not just one day a year, but all year long. Kudos to you for providing them. @Harmony – thanks – do you say “crickey” in Canada? Someone was telling us the other day that they said “crickey” all around the US and it got them everywhere. I completely missed blog action day and I am playing catch up reading them all. Thank you for sharing the E Card. I totally agree that helping the environment can help poverty. They are all connected. Hey Robin, I’ll be sure to check it out. What I don’t understand about poverty is why it exists. We have money to pay entertainers, ball players and talk show hosts, but we have to take up a collection to feed and take care of people. I can’t help get upset just thinking about this subject. Naturals last blog post..Why Poverty?